It is well-known that crystals get their colors from the different chemicals involved while the crystals are being formed. But the colors themselves influence the effect crystals have on us. It happens due to each colors’ different meanings and properties and also because different people experience different colors in their own way. You have probably heard that you do not choose a crystal, a crystal chooses you – the crystal that can and will help you will be the crystal that attracts you. 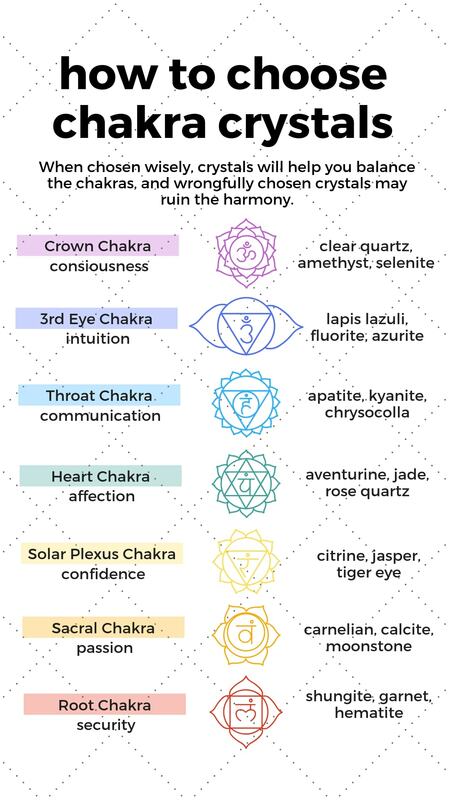 But if you need some help finding out what your favorite crystal color means and what it does, or if you are struggling to choose the crystal just for you, read on. For your convenience, we have separated crystal colors into two main categories: warm and cool colors. All the warm colors hold projective energy, which means that warm colors are energizing, encouraging, they develop passion, creativity and abundance. They are widely used for healing, as symbols of luck, success, accomplishment, braveness, wealth and self-confidence. Red is the color of passion, energy, and life, it motivates and encourages. If you feel lack of power or if you are emotionally depressed, you need more red. Red crystals bring self-confidence, will-power and courage. When you need action without hesitation, use a crystal with a bright red color. Red colored crystals have powerful healing properties, they raise blood pressure and speed up metabolism, they have positive impact on the immune system, blood circulation and reproductive organs. In lighter shades of red, like pink, the power of crystals is subtler, not as strong as with the red crystals. This is the color of determination, commitment, and caring, it is a soothing color. 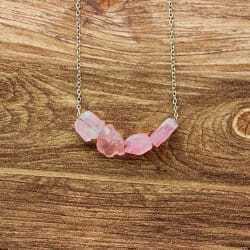 Pink sapphire, rose quartz, cinnabar, and morganite will be great for finding a girlfriend or boyfriend, or a friend. Orange is the color of joy and friendship. Often as people grow older, they experience joy much less. If something seems to be missing, if you don’t feel as happy as you used to for no particular reason, you probably need a little of orange in your daily life. Orange crystals bring happiness and pleasure. It is also a uniting color. Orange crystals are “home stones” and also “community stones.” Use your orange crystals for healing, it can help you deal with kidney problems, eating disorders and allergies. Darker shades of orange deepen the sense of belonging and home. Use a deep orange stone as a “home stone” by placing it centrally in your house to bring hospitality into your home. A dark orange crystal is perfect to keep family members together and your team at work as well. In lighter shades, orange is the color of friendship. Light orange crystals represent companionship, loyalty and sharing. Yellow is the color of the sun and the warmth that comes from its rays. Crystals that possess this color bring the power of enlightenment, it helps us in our search for knowledge. Yellow crystals also symbolize optimism and the beginning of new journeys. Yellow crystals are widely used for healing, they help with skin diseases and eating disorders. Yellow crystals help to see things from the other side, they enlighten your life. For example, citrine will bring you success and happiness. Pyrite gives optimism, it will help you find the meaning of your life and relationships. Yellow crystals are used as amulets for new beginnings and new projects. All the cool colors hold receptive energy, they are soothing, they symbolize love, calm and peace. Crystals that possess cool colors are widely used for meditation, they promote knowledge, sleep, fertility and physical growth. There are stereotypes about black color promoting bag energy, anxiety, depression. 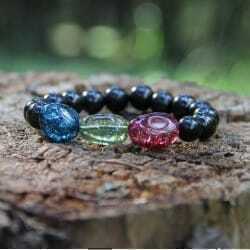 But black color, on the contrary, help to get rid of negative energies, back brings stability, grounding and protection, as well as black crystals. 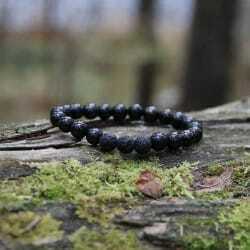 Black crystals are widely used as protective amulets, they should be used when you do not feel safe. Keep a black crystal near your front door, place it in the corner of every room if you feel like your home needs to get rid of negative energies and destructive influence. Black crystals should have their place in your life. 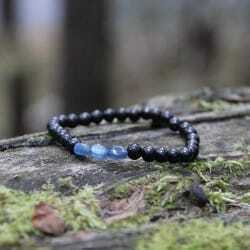 A black crystal, besides being a great grounding force, can also give you a sense of well-being. Black crystals will give you connection to the physical, natural world. They will help to relieve you of fears that are connected with your physical existence and physical state. Black will give you a sense of power as you will feel secure and daring. Black crystals, especially shungite, are also very effective for healing such diseases as spinal problems, sleeping disorders, they will help you deal with shock, trauma and overstressed nerves. In today’s modern world, white is the color of purity, peace and innocence. But the original meaning and symbolism of the white color comes from the white rays of the Moon. The white color of the Moon is the sunlight that the Moon reflects, so it is the color of natural cycles of life. Crystals that possess the white color are ruled by the Moon and are connected to sleep and psychic energy. 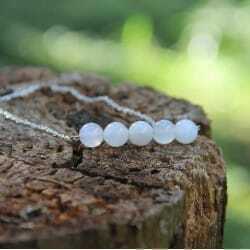 White crystals bring inspiration, improve psychic abilities and intuition, they will give you the sense of purpose. White crystals are often used as amulets for safe travel and good luck. These crystals carry good and light energies, so they will protect you from any kind of harmful influence. White crystals will help you restore calm and peace in your life. White crystals are also very effective for crystal healing, they will help you cure your teeth and bones, and your body in a whole. Green crystals are the growth crystals. The symbolize development, creation, and of the power of nature’s renewal. Green crystals also provide stability, they will help you to keep a schedule and keep your life on track. Owning a green crystal, you will increase your productivity, which will help you with your career and personal projects. Being a symbol of fertility and growth, a green crystal will be of great help if you want to improve your relationship with family and friends. Green crystal color will have a positive impact on your heart, respiratory and immune system, it is also very helpful if you have panic attacks and often feel stressed. Blue crystals are considered to be crystals of harmony. Use blue crystals when you need to feel patient, relieved and calm. Blue crystals will help you let go of the past and feel relaxed. Blue color will have an effect on your attitude, you will be more sensitive, tender and thoughtful. If you need to change your relationship with friends and relatives, a blue crystal can help you immensely. In terms of health, blue crystals help to cope with headaches and fevers, they will bring you restful sleep and reduce the pain. 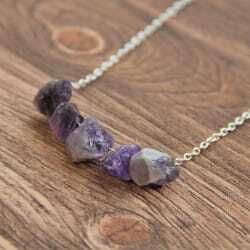 Purple crystals bring rays of intuition, dreams and nobility. Purple crystals, such as Amethyst, invite a feeling of mystery and magic. Such crystals encourage our dreams, bring inspiration and give us strength to do anything we want. Purple crystals are true symbols of good luck, due to their magical meaning, purple crystals connect dreams with reality. Purple crystals are effective in terms of healing, they cure migraines, help you sleep tight and also help cope with allergies. As you can see, there are many different crystal colors, and every color has its own meaning and unique properties. We hope our comprehensive guide will help you in your journey with crystals.